Bohemian festoon lights, a vintage mason jar full of daisies, and a kraft paper effect combine to create a whimsical wedding ceremony booklet! 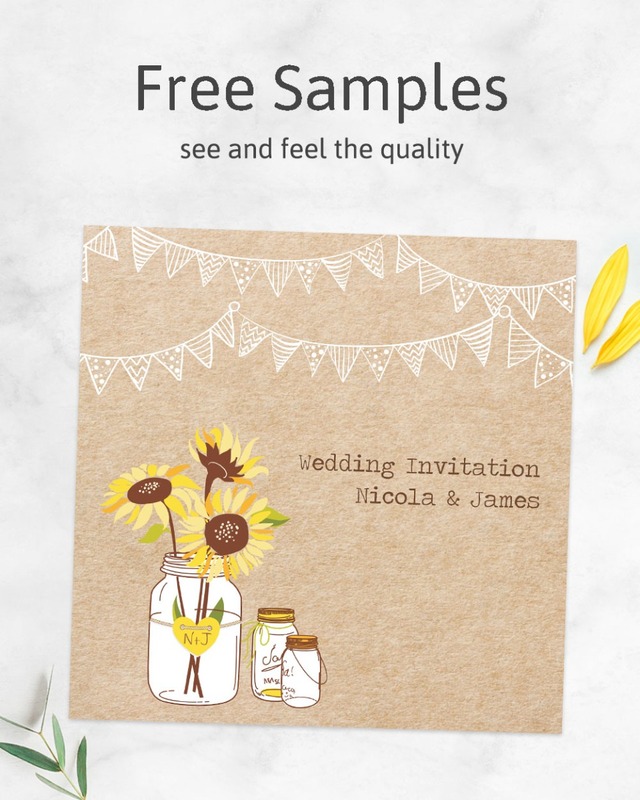 Personalise the cover with your own wording, then add your church or civil ceremony details, which we'll print onto paper inserts. This rustic design, with its whimsical floral details, is a wonderful choice for countryside and woodland weddings in spring and summer. It's a great keepsake for guests, too! If you want us to print the words of any readings or songs in your order of service, please ensure you have asked your Vicar/Priest/Registrar etc whether you need copyright clearance. All Order of Services are printed on the agreement that copyright clearance has been granted before placing your order. ~ A5 Order of Service Cards measure 148 x 210 mm when folded.